When was the last time when you saw a QR code in an advertisement and were excited to scan it, or on the back of your soda can and put it down to see what the code redirects too? Or even worse, when was the last time you stopped your car to snap a QR on a billboard? Chances are that the answer is long time ago, and you’re not alone. 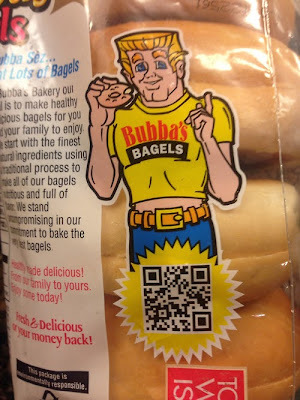 There are many reasons as to why QR codes are not getting hype anymore. The most common reason is that, believe it or not, a lot of people are still not aware what QR codes are or how to use them. Many don’t even notice their presence. QR stands for Quick Response. These codes are two dimensional barcodes and are supposed to be a simple way to link the user to other content such as website links, phone numbers, contact information or other text. The user scans the code using an application on their smartphone to encode its content. But even after you explain the concept to many people, they still do not use it very regularly out of inconvenience or laziness. Android and Apple smartphones do not come with a QR scanner application pre-loaded (87.6% of phones sold in 2012) and that’s where the confusion starts. Other users do not see the value of taking a minute of their time to pull out their phones to scan a code which will lead them to information that they might not be interested in. Even more disappointing is that many companies do not even know how to implement QR codes correctly. Many times, they are too small for the scanner to detect or placed in awkward or inappropriate locations that are hard to scan (such as billboards, t-shirts, bathroom walls, etc…). Other times, they link to websites that are flash-based or not mobile-friendly, thus ruining the whole experience for the user. 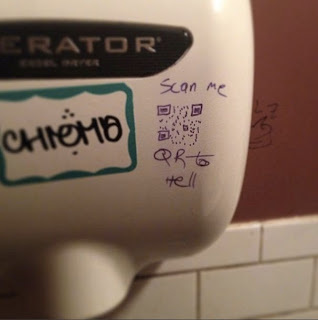 QR placement is also very important; many companies fail to see that. They include these codes in places where there is no wifi or 3G signal such as airplanes or underground parking lots. Possibly, the only effective use of QR codes that I have seen is for sharing a BBM pin on Blackberry smartphones where the phone is equipped with a QR scanner and users can easily scan each other’s phone to get their pin. With so many alternatives such as SMS short codes, augmented reality apps, mobile applications, Bluetooth and NFC technologies, QR codes will end up in the digital graveyard right next to Google Reader and Google Buzz. advertising billboard cloud961 death facebook funny google hell marketing NFC QR codes Quick Response SMS social media twitter website What are QR Codes? Labels: advertising billboard cloud961 death facebook funny google hell marketing NFC QR codes Quick Response SMS social media twitter website What are QR Codes?